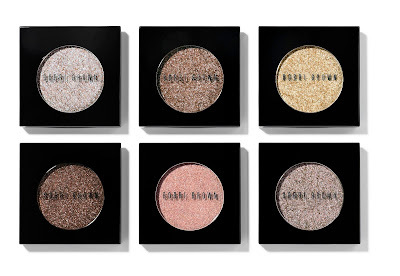 One brand, took Sparkle and Glow to the next level --- Bobbi Brown! 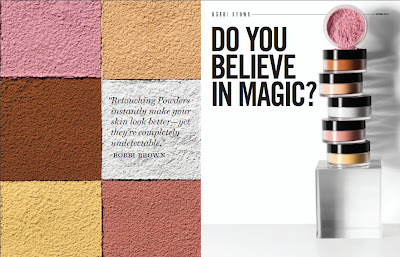 With the newest collection called "Brighten Sparkle and Glow Collection"
Moisturize and plump up skin with Bobbi's multi-purpose product. This dense, concentrated balm with exotic plant extracts such as Avocado, Geranium and Rosemary Oils, can be used anywhere extra hydration is needed - on lips, cuticles and even heels. It can also be patted lightly over makeup to give cheeks a dewy, healthy glow. Available shades: Light Bisque, Bisque, Dark Bisque, Peach and Dark Peach. Sheer and silky, Brightening Finishing Powder features six luminous pastel shades that blend together and illuminate the skin for a beautiful natural, healthy finish. Formulated with Mulberry, Grape, Scutelleria and Gentian Root Extracts, this innovative formula instantly brightens the skin with a wash of skin tone correct color, while the soft texture perfectly sets makeup without feeling heavy or weighed down. To instantly brighten the complexion, blend all the shades together with a Face Blender Brush or Powder Brush and apply to cheeks, forehead, nose and chin. Nothing illuminates the face like a little shimmer. 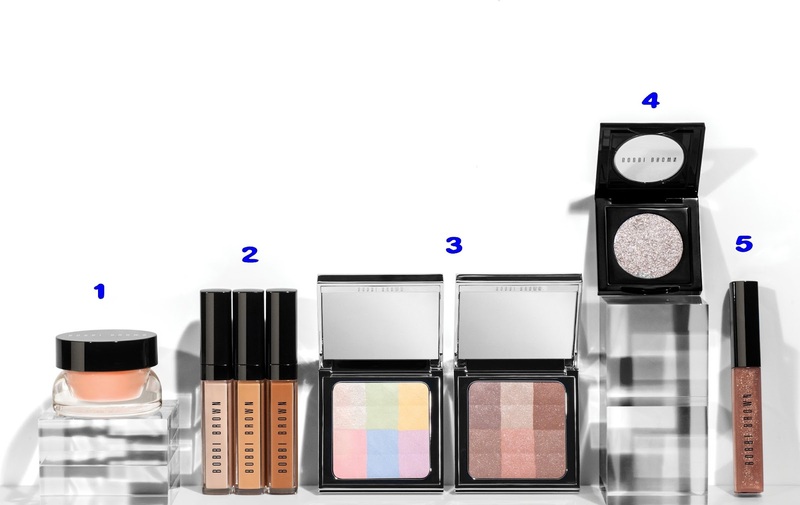 Bobbi brings back five of her most flattering Sparkle Eye Shadow shades, plus one new shade tht will make eyes pop with subtle shimmer and shine. The featherweight formula offers long-lasting wear. Available shades: Gold Star, Silver Moon, Ballet Pink, Mica, Cement and Black Chocolate. This gorgeous, light-reflecting gloss is formulated with a special mix of fine pearls in a clear base for the ultimate in shimmer and shine. Plus it's enriched with emollients and Vitamin C and E to moisturize, condition and protect lips, so they feel as good as they look. Wear it on its own or layer it on top of lipstick or lip liner for extra color and dimension. And there's more to look forward to from the brand! Remember the color correcting rules for concealers? 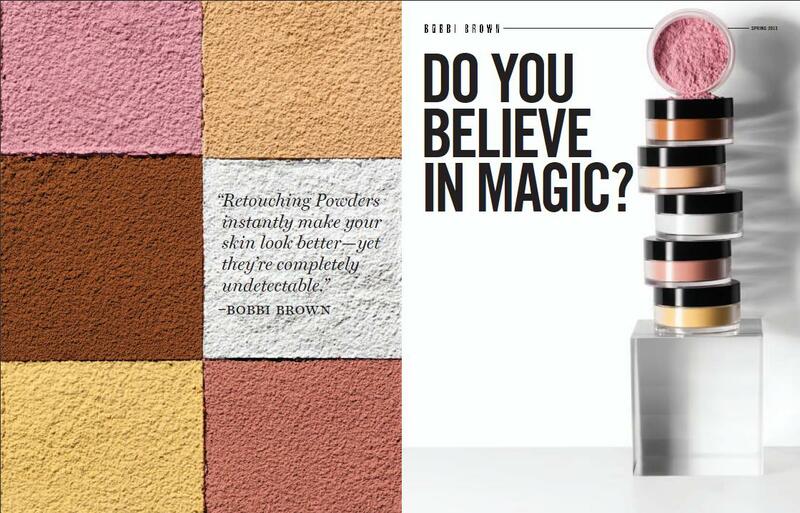 Well, our dearest idol Bobbi Brown came up with retouching powders that makes your skin looks better yet completely undetectable! Isn't that wonderful? Shades: Each retails for Php2,100.00 (approx $52.50). Yellow - Counteracts sallow undertones in alabaster to medium skin tones. Available at Bobbi Brown counters in Rustan's Makati (812-2507), Rustan's Shangri-La (633-4636 loc 114) and Rockwell Essenses (822-9400). 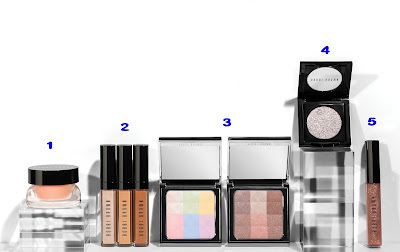 Bobbi Brown's Brighten Sparkle and Glow Collection is available this February 2013. Do you fancy any of the products listed above?I am really intrigued with Retouching Powders and the Brightening Finishing Powder from the collection! I love Bobbi Brown! Cant wait to try out the brightening collection! The brightening collection seems amazing and just right on time as everyone's been searching for brightening products! I know, most of the time, we get correcting concealers/primers etc...so this is definitely fun!! !